And at the end of the day, if all this pink food is inspiring a sudden queasiness, you can wash it all down with pink Pepto-Bismol. Food is fashion, and fashion is food, and that’s why pink food became gradually, then suddenly, a thing. First, Pantone named Rose Quartz — a muted, dusty pink with the slightest hint of orange — one of its 2016 colors of the year, when it had already been popping up in clothing and accessories. It was more sophisticated than Barbie pink, more cynical than magenta. Brands like Thinx, an underwear company, and Acne jeans used the color in their marketing. The color took on a new name, thanks to the demographic that was most attracted to it: millennial pink. It expanded to include a wider range of shades, from a classic, warmer pink to peachy-beige to salmon. Pink already had a toehold in the food world well before the Pantone announcement. 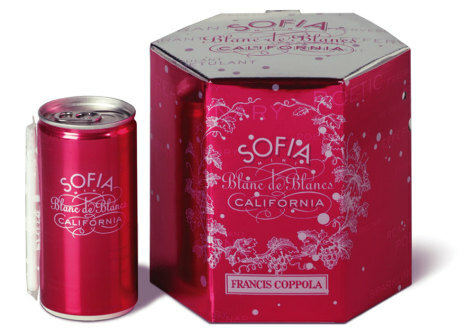 Girly brands like Sprinkles Cupcakes, which used the color for its cupcake ATMs, and Sofia petite canned wines have long known its appeal. But one of the real drivers of the trend was the transformation of rosé from a slightly tacky punchline wine to a mark of affordable sophistication, a “lifestyle bevvie” and an expression of female sisterhood. #roséallday! The color pairs particularly well with tiny cans — giving us about a dozen nearly identical choices, from Underwood, Lila Rosé and Trader Joe’s Simpler Wines. The fact that there is a brand of wine called White Girl Rosé should tell you everything you need to know. As rosés started to sell swiftly, everyone wanted a piece of the pie. So we ended up with a rosé festival — La Nuit en Rosé — and rosé in 40-ounce malt-liquor bottles, and frosé pops, and rosé gummies, and “Slay then Rosé” shirts. Last week, the Internet went agog over an attractively bottled pink gin (Wölffer Estate Vineyard makes it with rosé). Tequila brand Código 1530’s chairman Ron Snyder, the former chief executive of Crocs, says he didn’t set out to take advantage of the trend by selling a pink tequila, but when his tequila maker showed him the technique of aging it in barrels of fine red wine, he realized he had an instant hit. But it’s not just about alcohol. The color itself came to take on the qualities we associated with rosé — which were, in part, assigned by marketers. Free-spiritedness, casual luxury, youth, popularity: These are all qualities brands would like to associate with their products. They’re also inherently Instagrammable: Just look at the more than 13,000 photos with the millennial pink hashtag on Instagram. Hence, the all-pink interior of Pietro Nolita, and of the Gallery at Sketch London, New York’s Bep Ga and Cafe Henrie. Eater points out that New York’s Sel Rrose has a pink door, which has inspired people to show up in matching outfits to be photographed for Instagram. According to New York Magazine, the restaurant Dimes had to remove its millennial pink table because too many people were requesting it. In Washington, the restaurant Whaley’s has a Rose Garden — just a patio with pink umbrellas and a menu of pink wines — that can command hours-long waits. At Pietro Nolita, co-owner Pietro Quaglia was inspired by the pastel colors of the Mediterranean. But he knew that fashion would play a part, too; he used to work at Dolce and Gabbana, and gave his friend W Magazine fashion editor Giovanna Battaglia Engelbert a branded pink shirt that she was photographed in at fashion week, a nice free-advertising boost for the restaurant. Now, there’s often a wait for one of its 25 seats, where the mostly female clientele will take photos and sip pink drinks and Instagram their pink spaghetti, a pomodoro with a daub of fresh ricotta on top that turns the sauce pink when mixed in. And then there’s the list of “12 Foods To Satisfy Your Millennial Pink Tooth” by Refinery 29 (pink marshmallows, strawberry mochi ice cream and Belvoir Fruit Farms Elderflower and Rose Pressé — a brand that is on its way to La Croix-level cool-girl status). The cover of “Sweetbitter,” the coming-of-age novel about the New York restaurant scene. The 2016 launch of Le Creuset’s millennial pink “hibiscus” collection of cookware. The Museum of Ice Cream, an immersive ice cream-themed Instagram playground, for which guests will pay $29 a ticket to swim in a millennial-pink indoor pool full of artificial sprinkles. The Starbucks Unicorn Frappuccino, which was absolutely revolting, but sold out anyway. So it became obvious, very quickly: Make something pink and make money. You may think you just love pink — and maybe you do! — but also, you’re just susceptible to a pervasive marketing trend. “The color keeps on selling product,” New York Magazine wrote in its extensive history of millennial pink. And every time you take a photo of a Starbucks pink drink, Sugarfina rosé gummy bear or a can of La Croix, you’re helping them do it. It seems to make food needlessly gendered, too. Many words have been spent explaining that part of the appeal of millennial pink in fashion is that it is androgynous — Drake wears pink sweaters, singer Zayn Malik dyes his hair pink — but that’s not how it has played out in the food world. Rosé consumed by men needed its own name, brosé, to give it a harder edge, a distinction that wouldn’t be needed if we were truly, as GQ asserts, in an “egalitarian world of gender-fluid beverage consumption.” But most pink foods and beverages are unambiguously marketed toward women. A Bloomberg News article about La Croix’s triumph over its sparkling-water competition notes that “National Beverage originally marketed LaCroix as a women’s drink,” handing it out at women’s sporting events and partnering with Susan G. Komen for the Cure. It has male fans, too, but men make only sporadic appearances in La Croix’s hyper-feminine Instagram account, which features plenty of flower crowns, millennial pink nail polish and a “La Croix Over Boys” T-shirt. La Croix’s customer base “skews more towards professional women,” said a spokesman for the brand, though he said their marketing targets many demographics. Is all any of this pink stuff as good as it looks? That’s in the eye, and taste buds, of the beholder, of course. But pink food fatigue is setting in: “While no one can deny that rosé rhymes with #allday and #yesway and s’il vous plait, for me, the truly telling coincidence is that it rhymes with okay,” wrote Sarah Miller in a recent Eater essay. Okay, as in: meh. 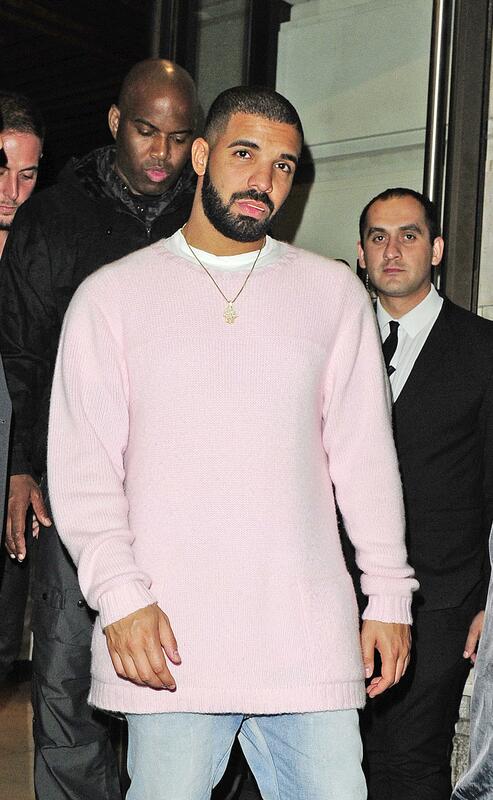 But pink is here to stay, at least until another color knocks it off its peppermint-colored pedestal. What color will be next? According to industry-watchers, all bets are on purple.